U.S. Senators who support S. 170, legislation that would protect hunting, fishing and recreational shooting on millions of acres of federal public land, are pushing for a summer hearing on this important bill. To aid our Senate allies, the U.S. Sportsmen’s Alliance is calling on sportsmen and women across the country to contact their U.S. Senator, asking them to co-sponsor this important bill. Senators Lisa Murkowski (R-AK) and Joe Manchin (D-WV) are the primary sponsors with seven other Senators having joined them as co-sponsors of S. 170 – the Recreational Fishing and Hunting Heritage and Opportunities Act. The bill establishes in law that fishing, hunting and recreational shooting are legitimate and important activities on National Forests and Bureau of Land Management (BLM) lands. It provides protections for these activities against attacks by the animal rights lobby and their lawyers who have fought to stop hunting on all public lands. The key provision of the bill is the “Open Until Closed” language, which mandates that National Forest and BLM lands are open to hunting, fishing and recreational shooting unless specific steps are taken to close those lands for necessary and demonstrable reasons. The Open Until Closed provision is a “game changer” for the future of hunting, fishing and recreational shooting on public land. It closes the door on abusive lawsuits filed by animal rights groups intended to shut American sportsmen and women out of millions of acres of U.S. Forest Service and Bureau of Land Management land. The U.S. Sportsmen’s Alliance led the charge for similar 1997 legislation that protects sportsmen’s access to National Wildlife Refuge land. To pass the Senate, S. 170 will need to attract support from Senators from both political parties and from all regions of the country. Take Action! 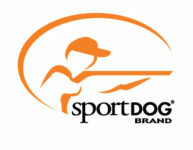 Sportsmen and women should contact their U.S. Senators today and ask them to co-sponsor S. 170 – the Recreational Fishing and Hunting Heritage and Opportunities Act. Their support will help ensure the future of sportsmen’s access to our federal public lands.